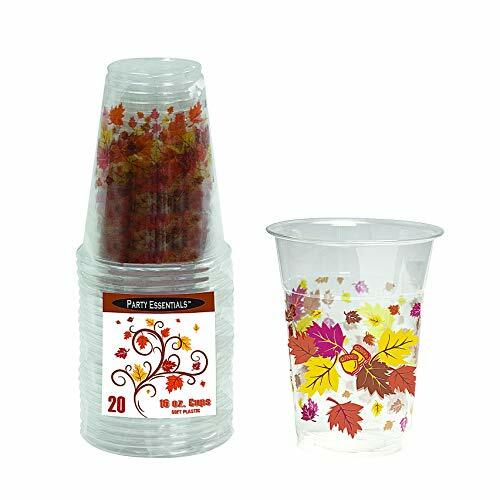 Thanksgiving dinner can be made more pleasant if the mood is set with the right decorations, and the work of cleaning after the meal is reduced by using paper products. On Thanksgiving Day families come together, often with large meals and numerous attendees. Normal does not exist. Tables may be too small, and portable tables may be used to supplement. Kitchens can be overwhelmed, a problem that can only be solved by family members bringing a specialty dish for which that member is known. Oh, it is possible to buy the entire meal already prepared and simply pick it up, but the preparation is usually part of the family connection. INTRO IMAGE: Allowed by Amazon affiliate program. 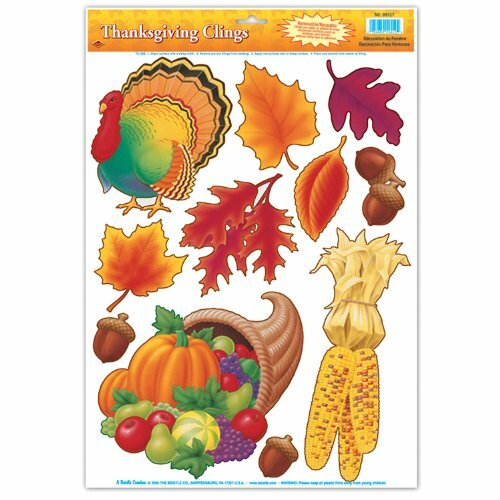 Paper turkeys and pumpkins make interesting, one day only decorations, but if you go that route please be careful where you place them. They are inflammable, so keep them away from any open flame. 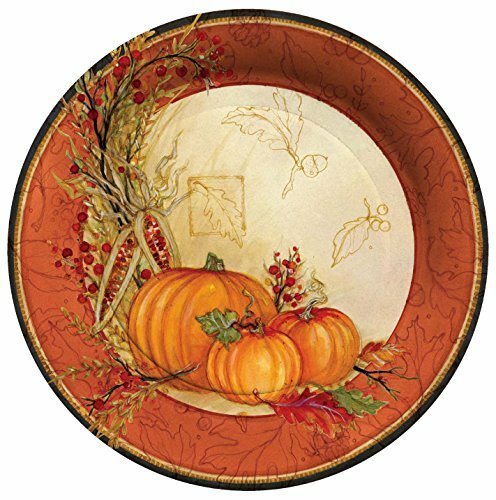 Thanksgiving decorations usually feature a turkey, pumpkins and gourds, and fall foliage. Nice pieces, such as ceramics, can add a nicer touch, but do remember they may not survive the children. Thanksgiving dinners often include many partakers of a young age, so do not set out anything you fear will be broken. 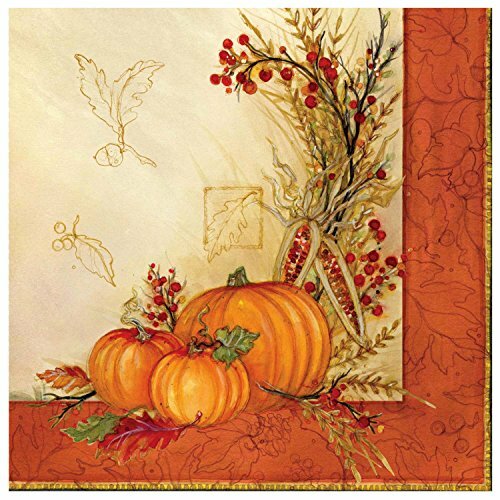 Table scatters are also available, as are Thanksgiving themed clings. 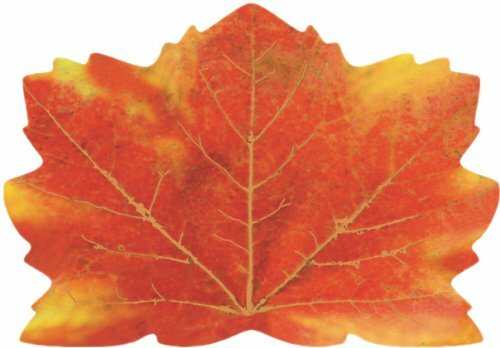 Use these decorations to add much to the setting. 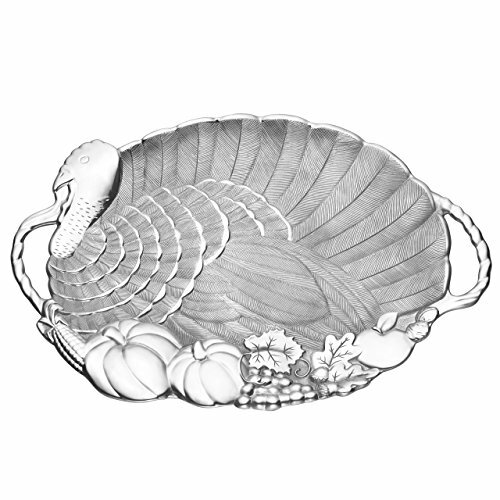 Often, the meal is started with the ceremonial carving of the turkey. The turkey is the center of attraction at many Thanksgiving Day repasts. Some families are so large, a single turkey simply is not enough. 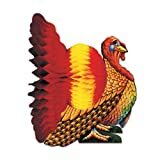 But, the turkey is tradition. Serving should start with salad, but a wise person minimizes the portion. People tend to eat a large meal at a Thanksgiving dinner, so starting with a large salad may be counterproductive. The turkey is often baked, although fried is an option. If you insist on a fried turkey be careful, the process of frying a turkey is dangerous. We had one once, a turkey fried by a supermarket, and it was too dried out. So, I recommend baking the turkey. Remember, it should not be frozen when baked, so the choices are to thaw it out in a refrigerator for the recommended time, which is days, or to buy a turkey that is not frozen. The turkey is accompanied by gravy and cranberry sauce. Cranberry sauce is the one thing we are most likely to forget to buy, then it is too late. Gravy can be found in the supermarket, and that is the easiest way of getting turkey gravy. There also must be dressing. There are at least four options for the dressing, and you may elect to have more than one kind of dressing available, especially if there are two people who insist on bringing their special dressings. 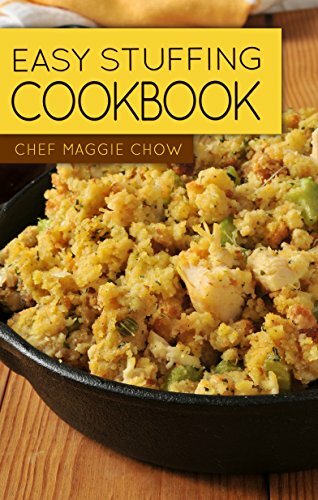 You can have a meat based dressing using ground meat, a cornbread dressing, a bread dressing, or an oyster dressing. After deciding on the dressing you still have to decide if it will be cooked inside the cavity in the turkey, or in a casserole dish. There are annual warnings concerning cooking dressing inside a turkey because it prevents the meal from cooking at a proper temperature in the same amount of time. Undercooking is a health risk. The rest of the meal consists of dishes that complement the turkey and dressing. 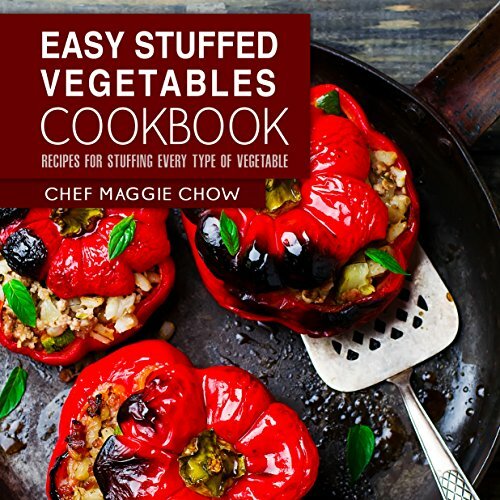 Some dishes you can use are eggplant casserole and mirleton casserole, also spelled mirleton, and in some areas called chayote. Of course mashed potatoes, green peas, and candied yams also work. You could use macaroni and cheese as well. In fact, the companion dishes are as numerous as you like. These are just suggestions. You probably will exceed the number of plates you own for a large family dinner, and even if you do not washing the dishes in a chore. Use paper. Paper napkins, paper plates, and paper cups work well, except for wine if you are serving wine. You can even use a paper tablecloth, but if there are candles that might not be the best idea. 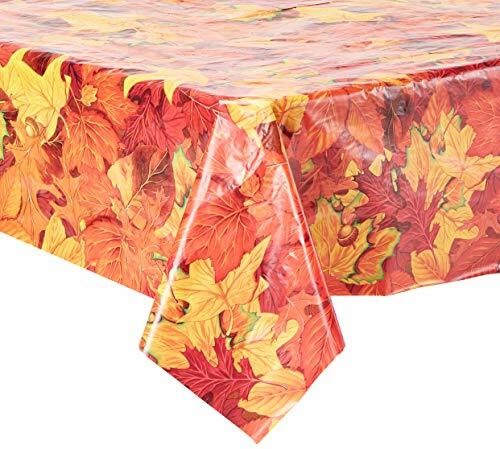 And, plastic tablecloths protect the table top better than paper ones in the event of a spill. While the above can be matched to the theme, some generic items might be a good idea. Consider plastic cups for your wine, and plastic utensils for eating. What will you serve as dessert? Apple pie, pumpkin pie, and whatever other pie you can imagine are always good choices. Another possibility is cookies, and home baked cookies served warm add so much to the dinner. But if the oven is in use with the turkey, the cookies may need to be served at room temperature. 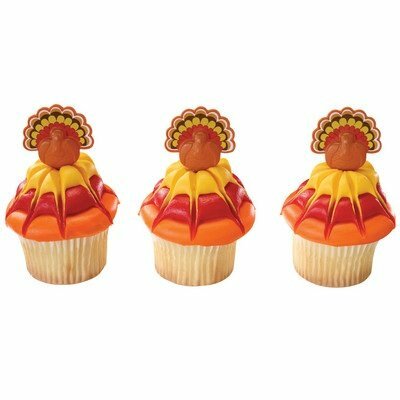 Cupcakes can be set in a cupcake serving tree, and decorated with Thanksgiving toothpicks. 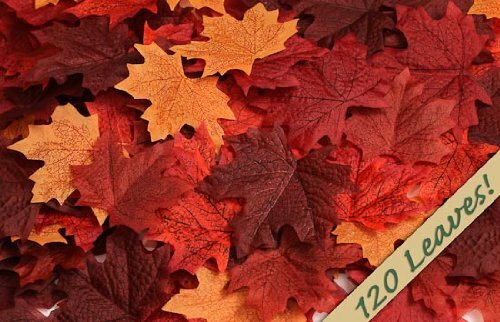 They can even be iced in fall colors. Another fun food family is the candy family. Pralines are especially a nice touch, as are chocolate covered cherries and after dinner mints. But do not limit yourself to these, add what will be a hit with the people partaking of the meal. If the meal is brought in, such as a meal bought at a supermarket and heated, or if the meal is essentially cooked by others who bring the components to the gathering, the aroma may be in peril. But, the aroma is an important part of the Thanksgiving Day feast. The solution is scented candles. 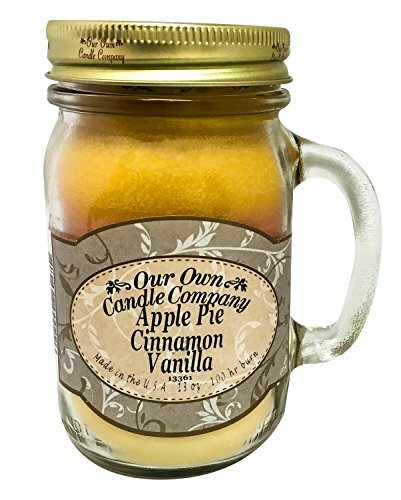 Even if the cooking aroma cannot be fully replicated, scents of apple pie and pumpkin pie can easily be found. So, use scented candles to activate the guest’s taste buds. Leftovers present their own problem. 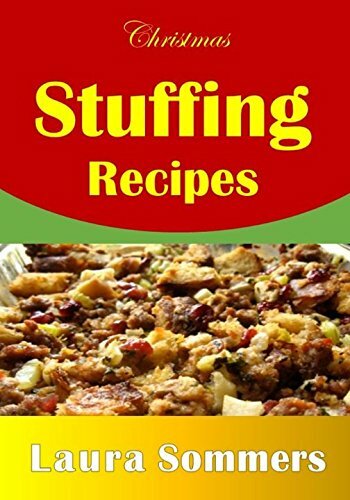 Some food, like the turkey itself and some of the side dishes should be refrigerated shortly after the meal is completed. But, that requires more refrigerator space than may be available. Even so, this is not optional. For a quick solution, if people will take food home, or if more food will be eaten later, Styrofoam coolers can be used to ice down some of the food. I do not believe I mentioned fried. If s it was not intended. Our turkey is donein the oven. frying is a newer concept, and can be dangerous if not don right, but some stores will handle that for you. You mention fried turkey for Thanksgiving. We haven't done it in recent years, but we used to smoke our turkey. Takes a while, but boy, is that meat delicious. Thanksgiving is a festival of Fall, food and get-togethers. The vibrating colors of the season make it more fun. Love the colors of red, yellow and orange in decor. This year do give an inventive twist to Thanksgiving décor with the Pilgrims. The beautiful winter snow goes well with the Pilgrim decors who braved the cold winds of weather.